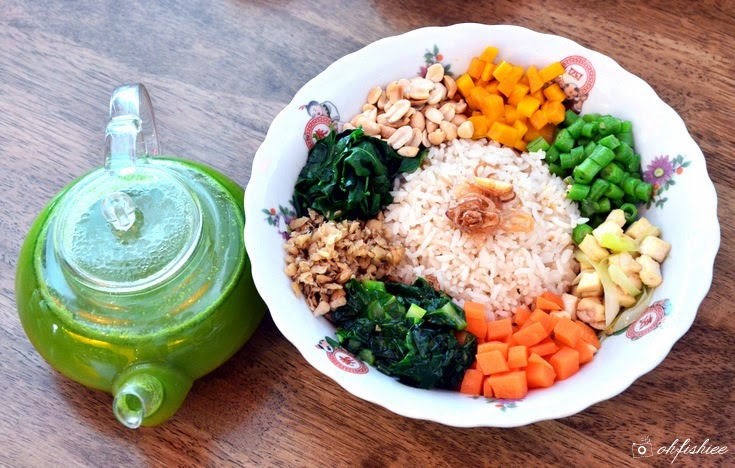 Health-conscious foodies can now rejoice! Do you know that tea is not only a natural detoxifying agent but also a flavour enhancer? 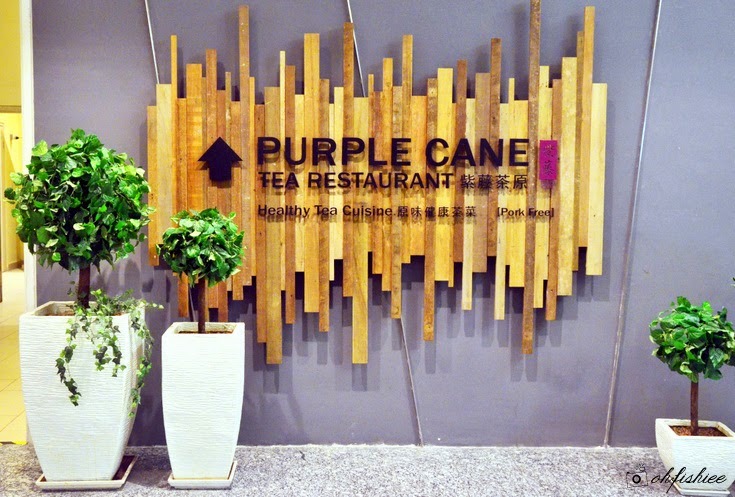 Combined with healthy cooking techniques using minimal salt, oil and seasoning, Purple Cane is the first fine tea restaurant in Malaysia that infuses tea into every dish to bring out the natural aroma and flavour of food. 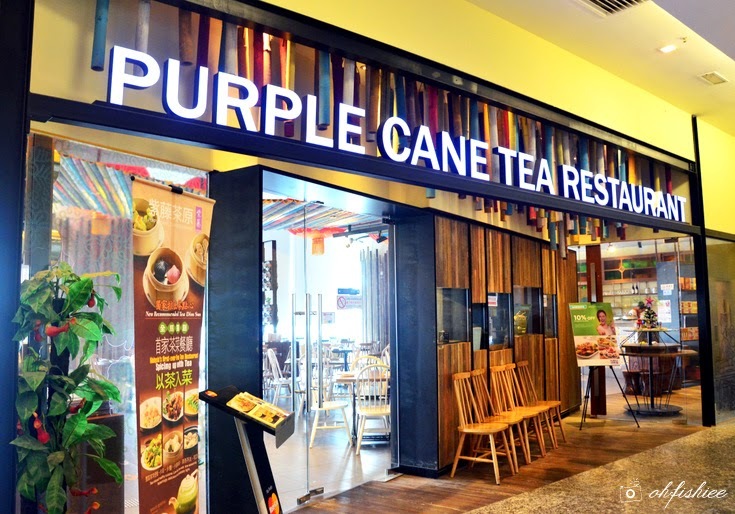 In Purple Cane, the owner believes real tea leaves have an interesting tale, and he is proud to tell that delicious story through the establishment of this Chinese eatery since 1997. 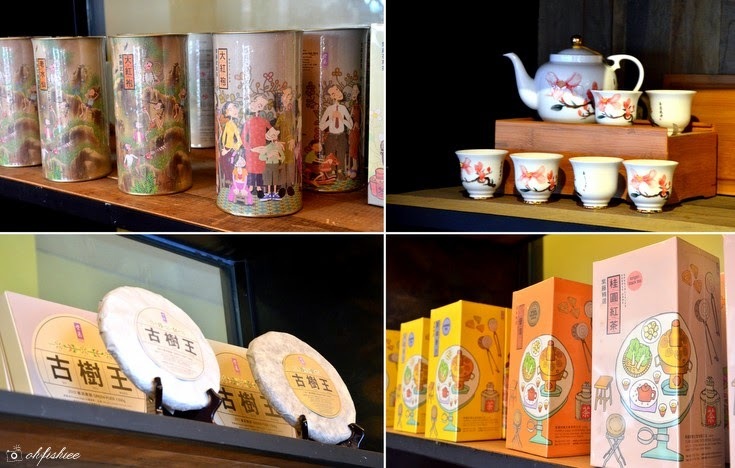 Inspired by the traditions of tea culture in China, the founder aims to preserve the art of appreciating tea among the young generations. Most of the tea leaves here are imported from China and Taiwan. Complete with soft lighting with traditional Chinese decor inspired from the classical colonial Nanyang style, I'm excited for my unique dining experience here. True to its tagline, "Spicing Up with Tea" (以茶入菜), the types of tea infused into the dishes vary among dishes in order to keep things interesting for customers. 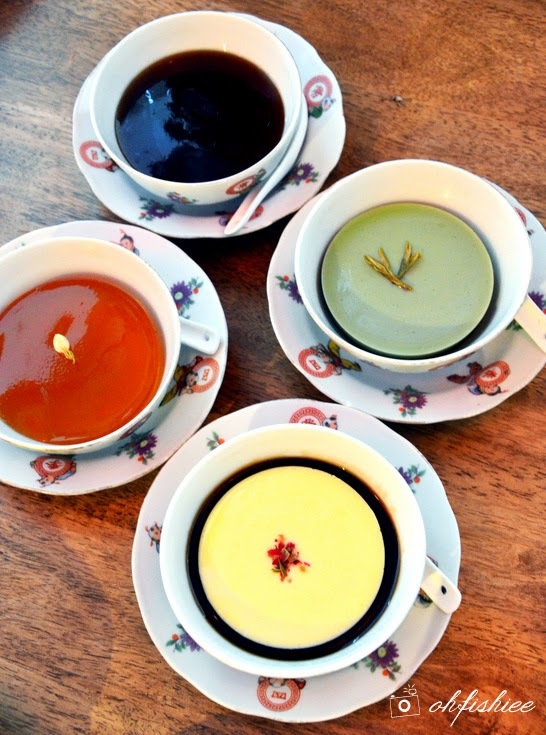 From savoury to sweet, Purple Cane has experimented with a premium range of quality tea in many ways but be guaranteed of the amazing results-- Beautiful aroma and delightful tastes. 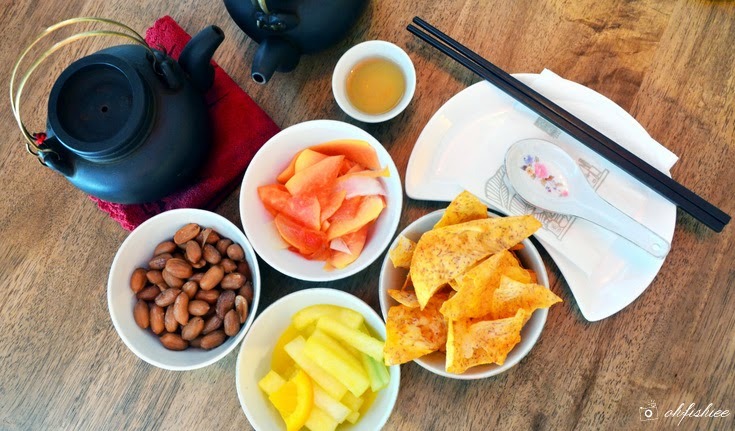 Like any Chinese restaurant, we are served with light tidbits upon arrival-- Winter melon slices with fresh orange, marinated raw papaya, yam chips with chilli powder, steamed peanut. If you're new to gourmet tea, do try the Huang Jin Gui, a very light premium oolong tea that exudes very floral, delicate aroma. 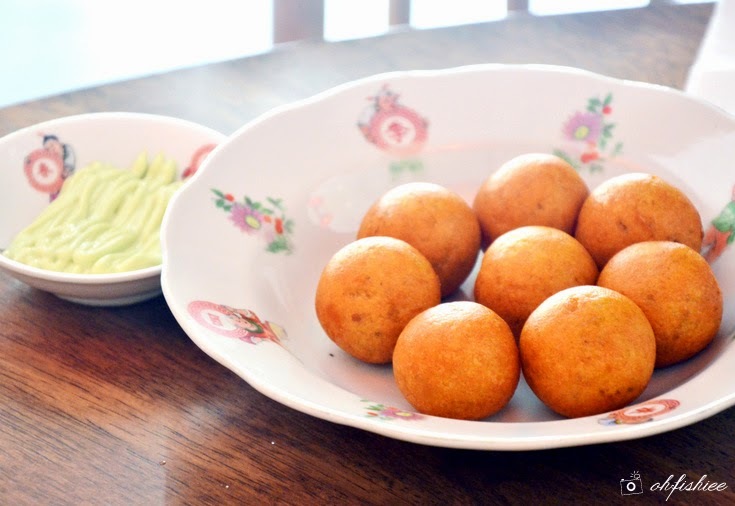 While sipping your tea, why not have a platter of crispy hot sweet potato balls for sharing too? The combination of sweet potato balls and green tea sauce is surprisingly tantalizing and we detect a tinge of sweetness from the former. 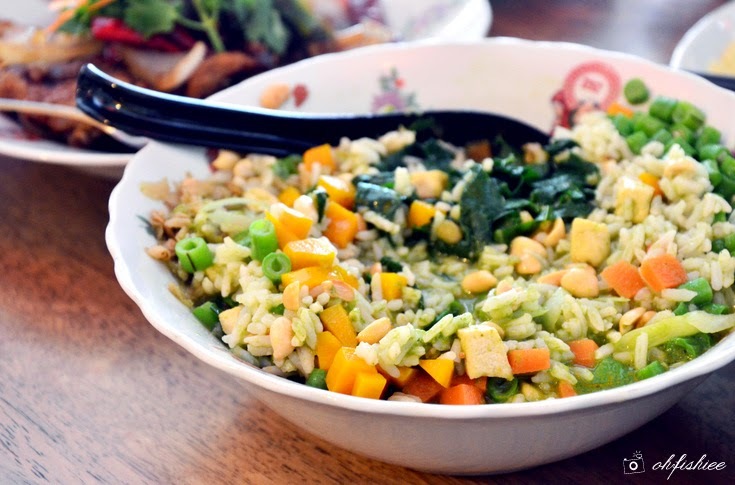 Rice has been a staple in so many Chinese recipes. 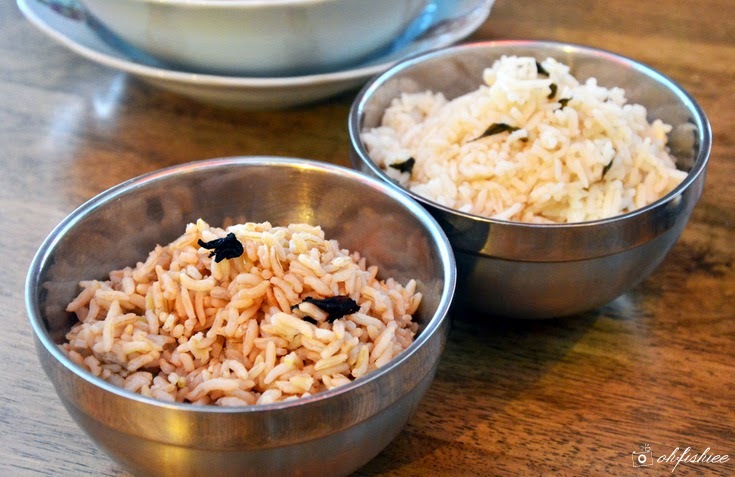 Emphasizing on the health values, the restaurant serves only two types of 'plain' rice-- Brown rice or Green Tea rice. Both have mellow, refreshing aroma that makes even the plainest bowl of rice very interesting! We are lucky enough to try both Lei Cha and its soup served in a teapot, because there are only limited sets served daily. Indeed, the first thought I have in mind when someone mentions Lei Cha is its pungent smell, but Purple Cane serves something totally different that amazes me. The savoury broth is surprisingly thick, slightly sweet and does not taste medicinal at all. Unlike the usual variation, this is easily acceptable even for those who don't usually fancy Lei Cha. It is definitely a nutritious, fibre-rich dish to go for! but it is beautifully presented and retains its succulent freshness within the flesh. 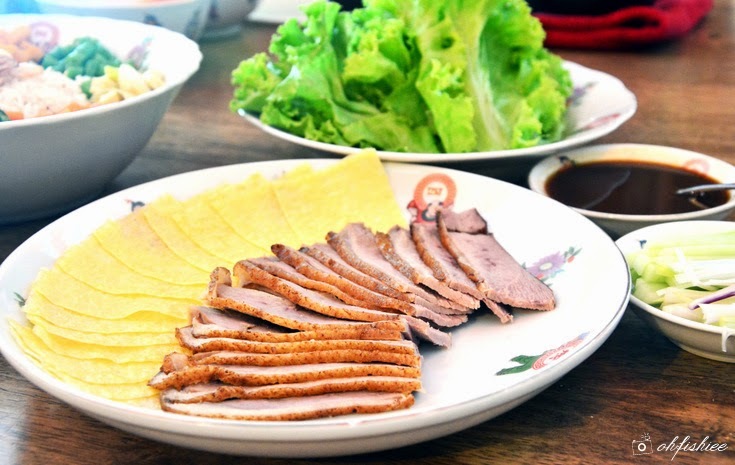 Infused with lychee black tea (荔技红茶), the flavour of aromatic crispy duck is more full-bodied than the usual Peking duck. 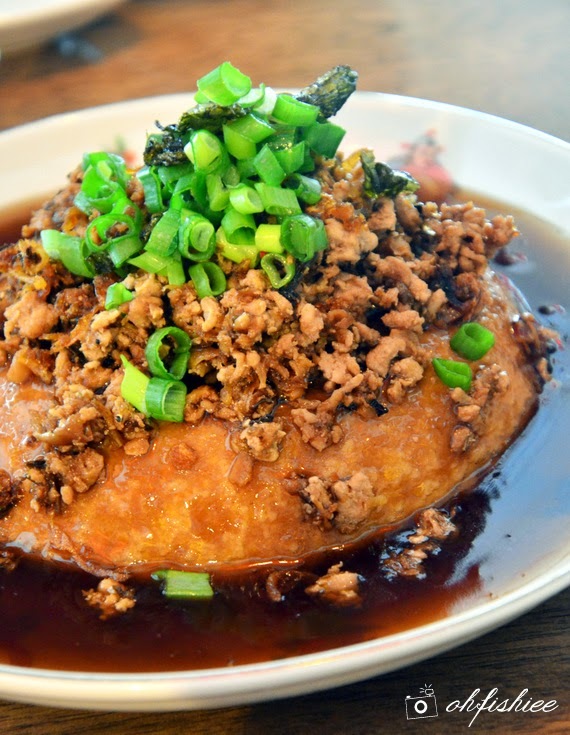 The lean duck meat is wrapped in egg crepe along with scallion and we love the hint of egg flavours while a drizzle of sauce makes the dish sweeter. We can easily wipe out the dish within minutes! If you're looking for a slight kick in your meal, the Gong Bao stir-fried abalone mushroom will tickle your palate. 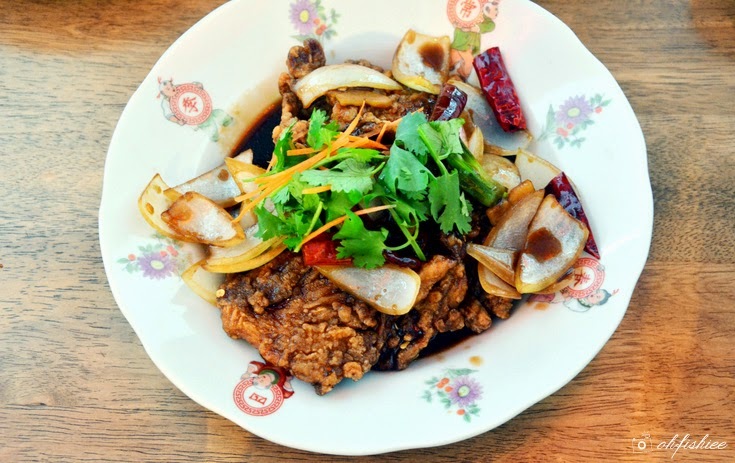 The crispy breaded abalone mushroom is well-infused with lychee black tea (荔技红茶), fragrant dried chilli and onions, giving the dish a light fragrance and stronger taste. Often seen as comfort food, we just can't wait to dig into this silky smooth homemade beancurd that shows off the sweet aroma of Dong Ding Oolong Tea (冻顶烏龍) and chunky minced meat, spring onion, shallot and anchovies. Vegetarians can opt to replace the toppings with mushrooms instead. 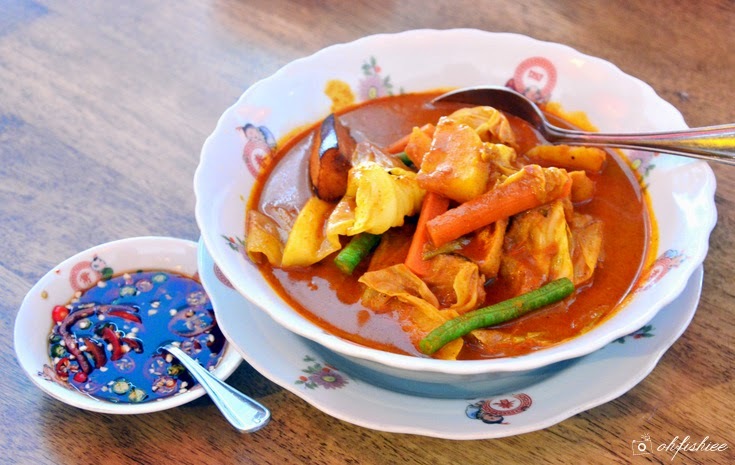 No matter where we are, we will always find comfort in a humble bowl of vegetarian curry. The uniqueness here is that you can avoid the high calories from coconut milk and yet enjoy the equally thick, creamy gravy. The thick consistency is achieved by replacing coconut milk with blended cashew nuts while the aroma comes from lychee black tea (荔技红茶). 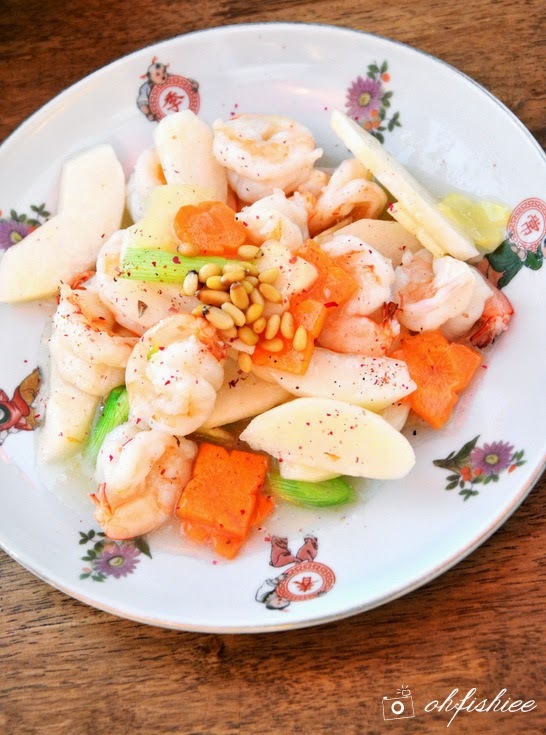 Simple yet comforting, this is the most interesting dish we try here! 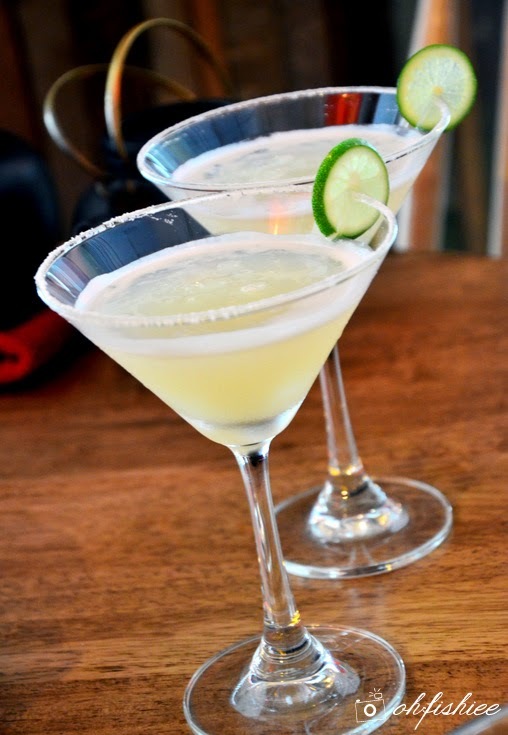 a refreshing glass of freshly blended lime and lemon juice with hints of natural bitterness. 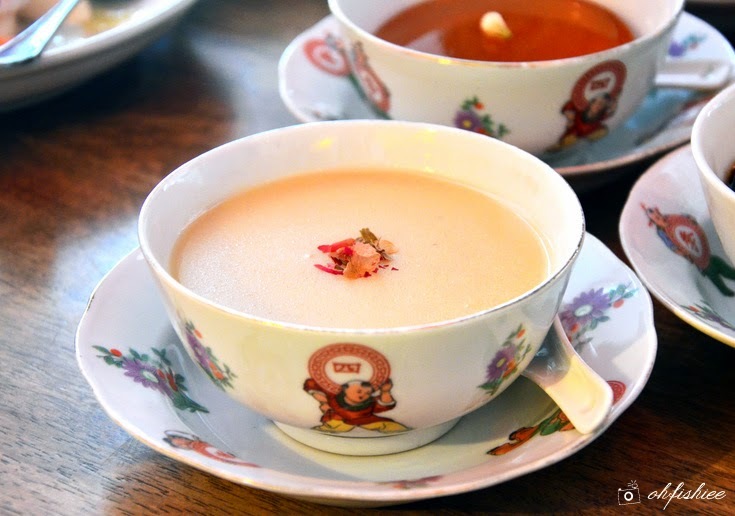 Of course, as to be expected when you dine at a fine Chinese restaurant, the homemade dessert soup is the one thing you shouldn't shy away from. Blended 100% from lotus seeds, you'd expect the paste-like soup to retain its naturally mild sweetness with hints of rose tea (玫瑰花茶) and no sugar added. Last but not least, the cold desserts here come in a series of 4 with the names adapted from 4 seasons in a year. If you find a set rather overwhelming, you can get them at RM4 each. Each has a distinctive uniqueness within its pronounced tea flavour, but my personal favourite goes to the green tea pudding. Green tea is infused into the sweet milky pudding gives the dessert a fragrant lift, making it a wonderful option for the sweet tooth. 1. For those who want to try out healthy diet, here's the place to begin with. 2. 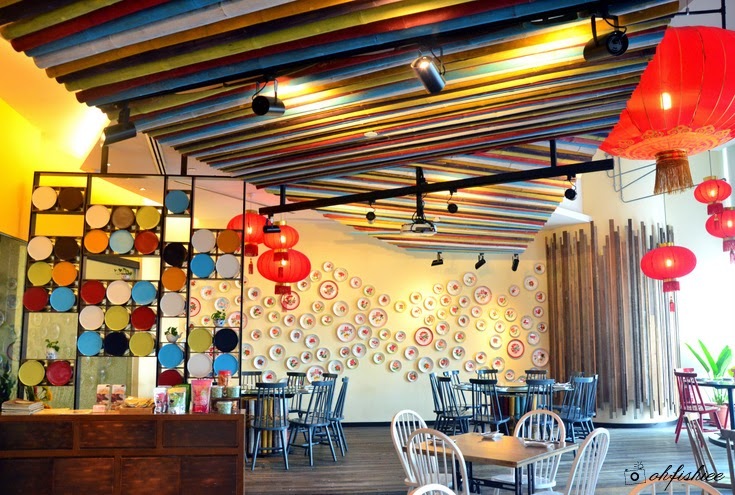 Set right in the heart of town, Purple Cane is the perfect place for businessmen and family to catch a breather during the lunch hour. eh i think some other outlet do not have restaurant right? haha those that i saw in Penang not selling meals one. Had a great experience this place. There was a good amount of people and the atmosphere was lively. Throughout the night, the bartenders at San Francisco restaurants were very friendly and attentive. Couldn't be happier with their service. Recommend this place without hesitation.